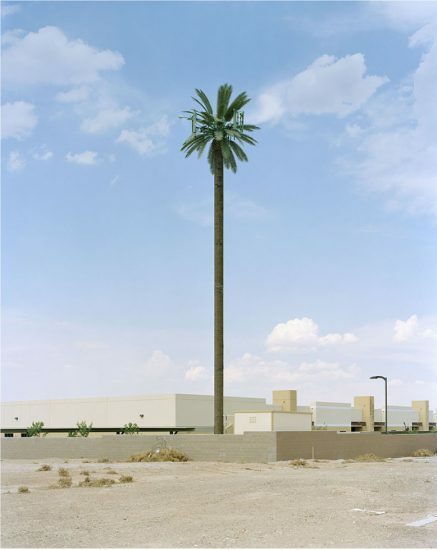 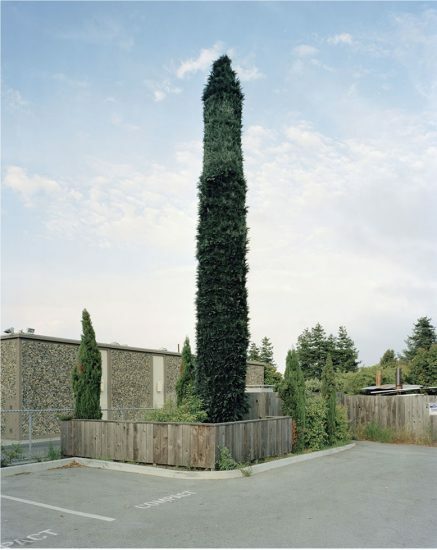 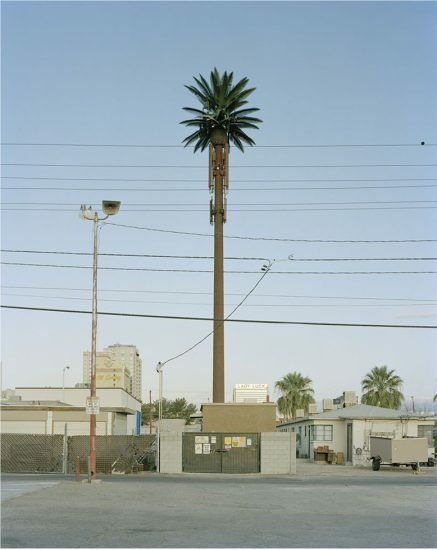 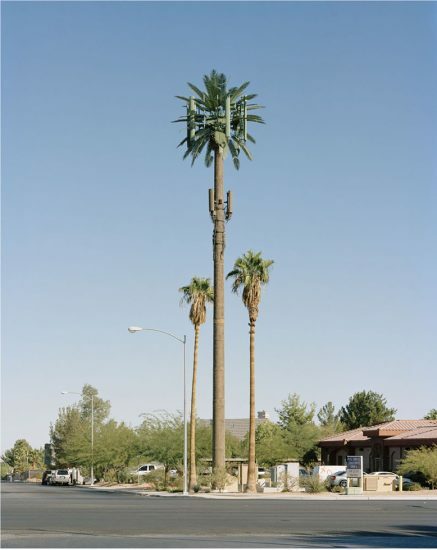 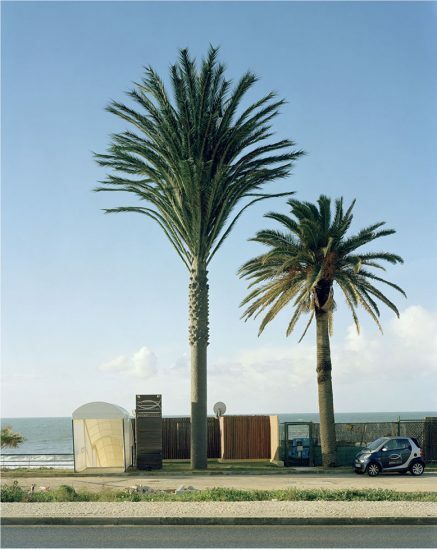 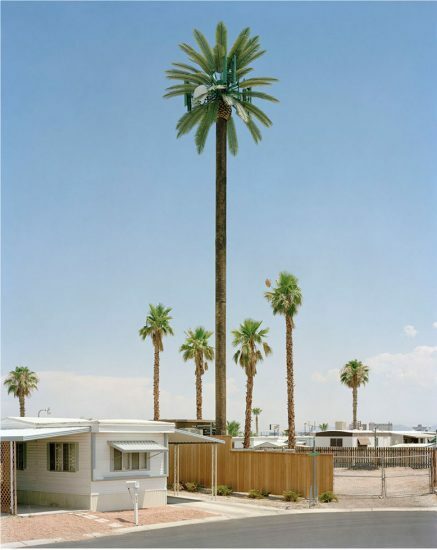 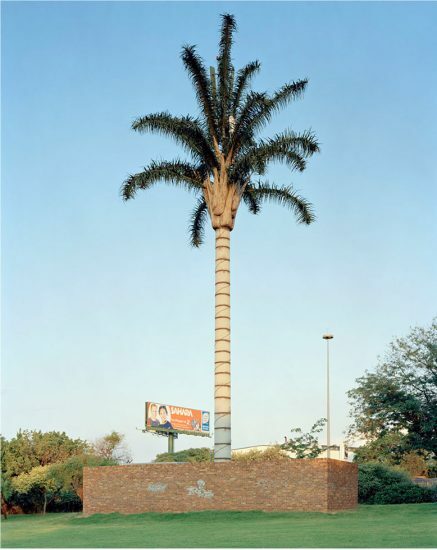 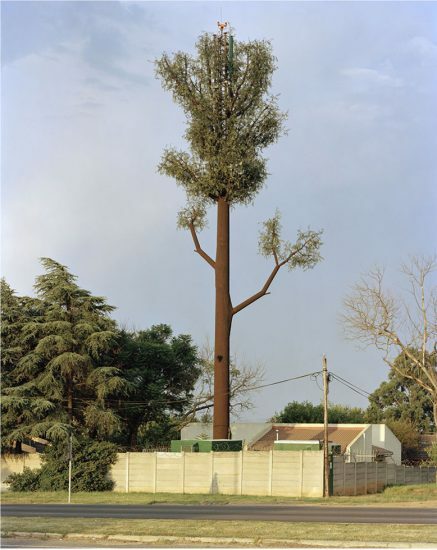 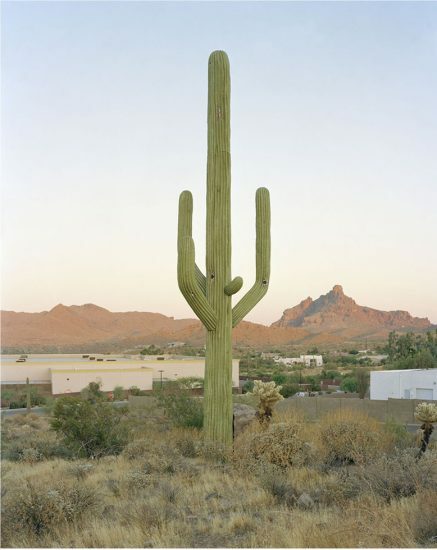 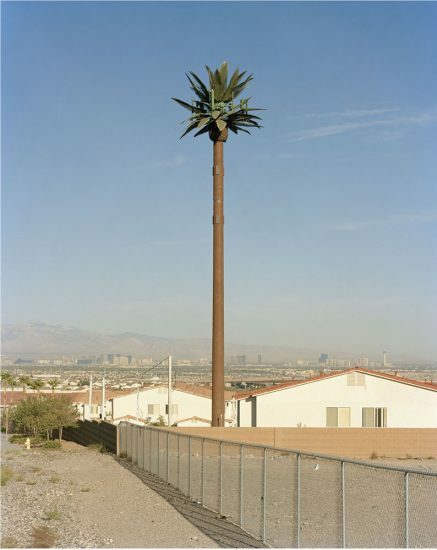 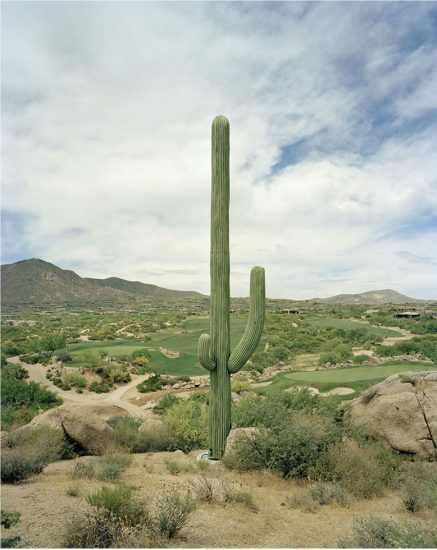 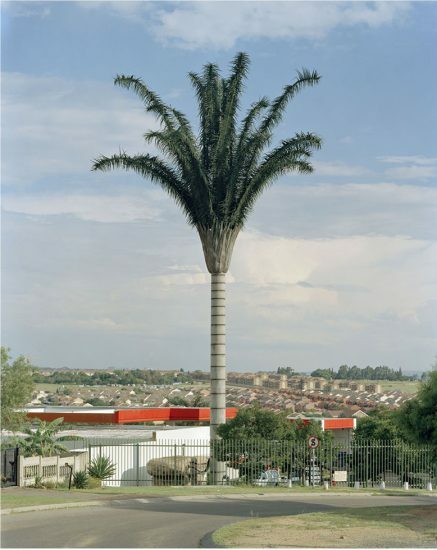 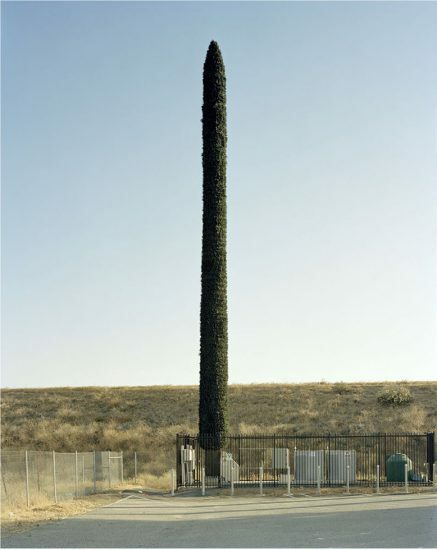 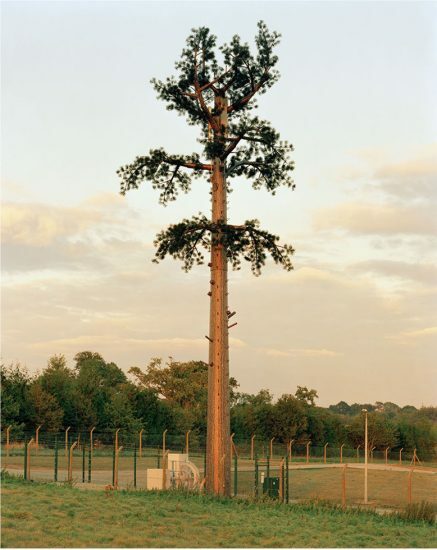 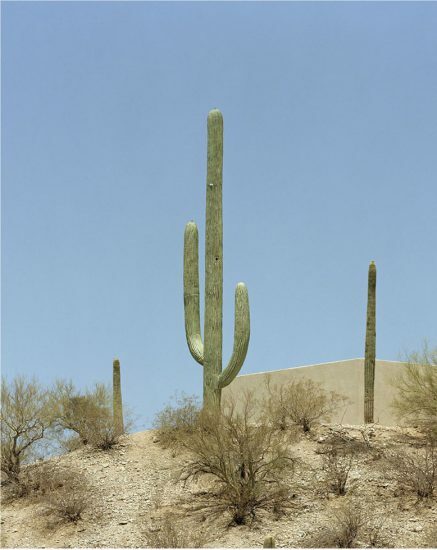 At first glance, the large-format color photographs from the series “New Trees” seem to depict everyday woody perennial plants, distinctive only because of their oddly oversized proportions. 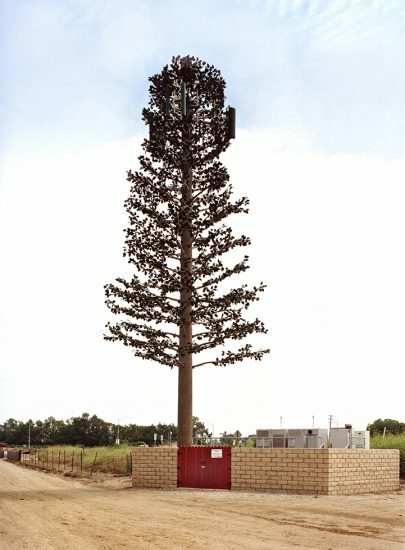 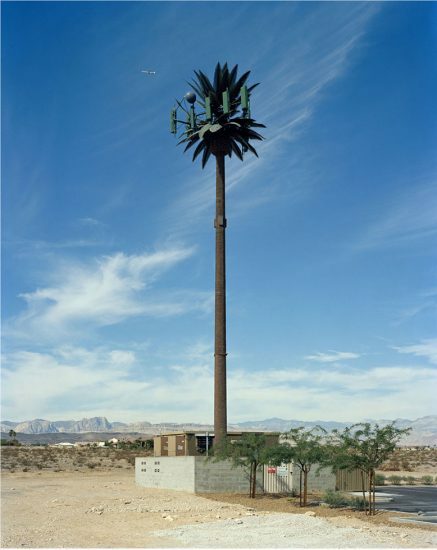 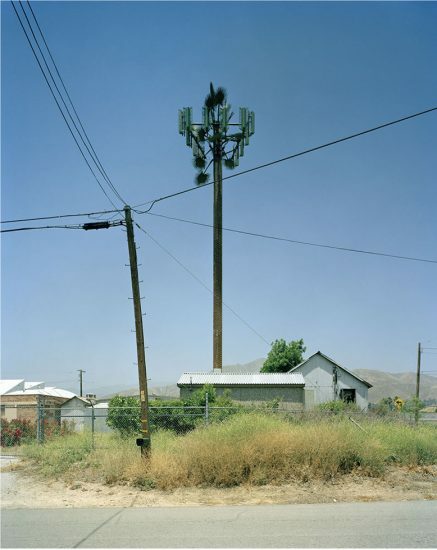 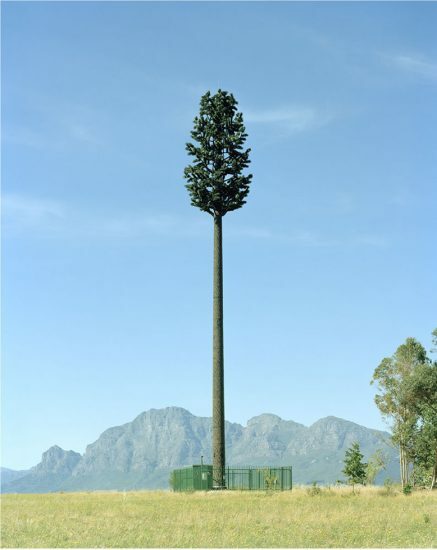 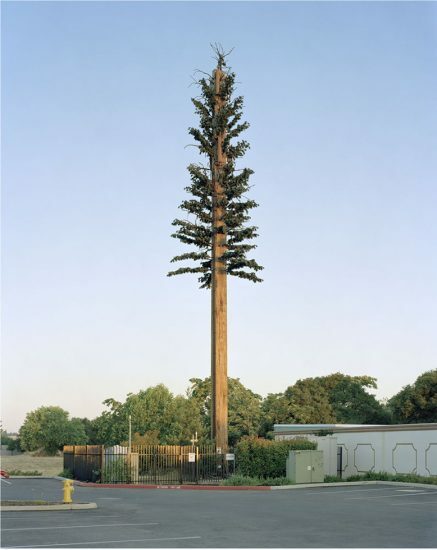 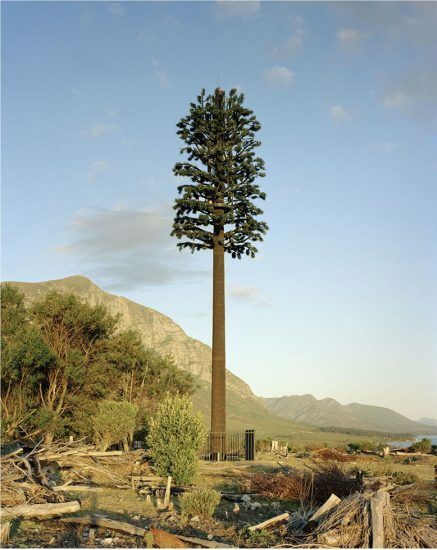 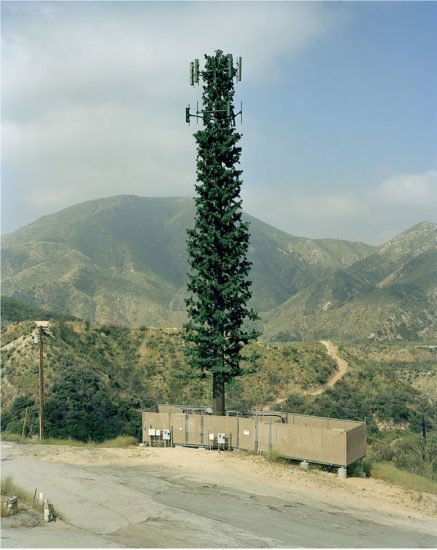 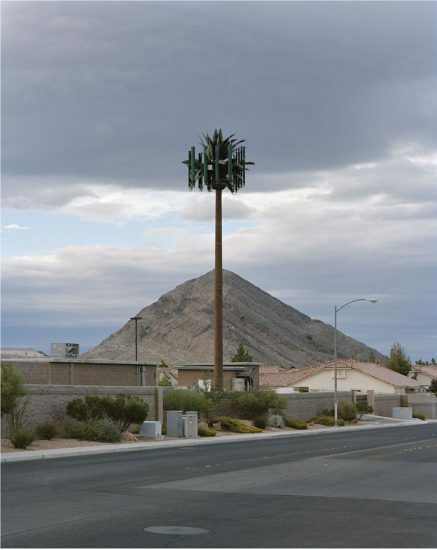 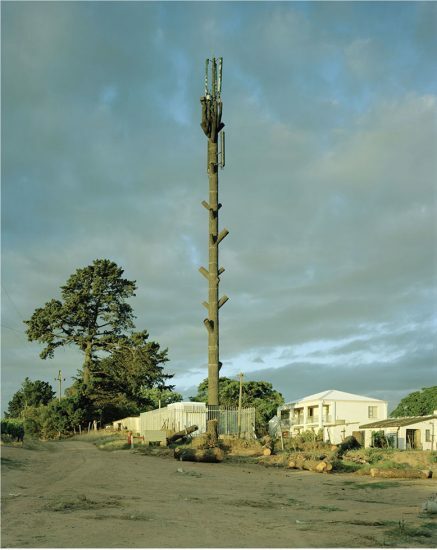 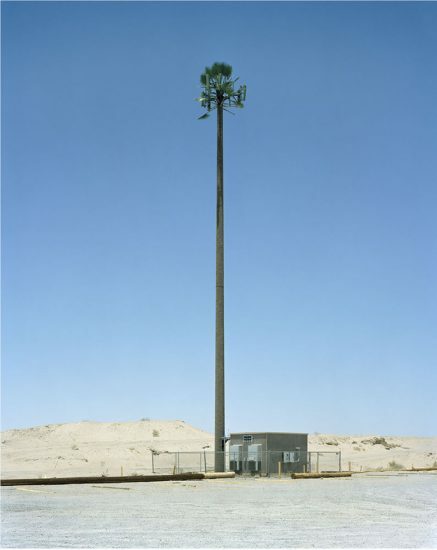 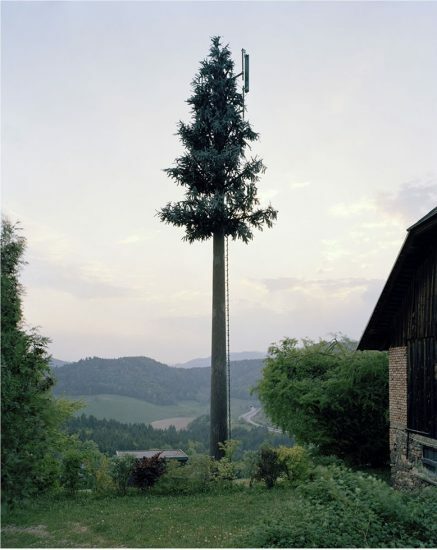 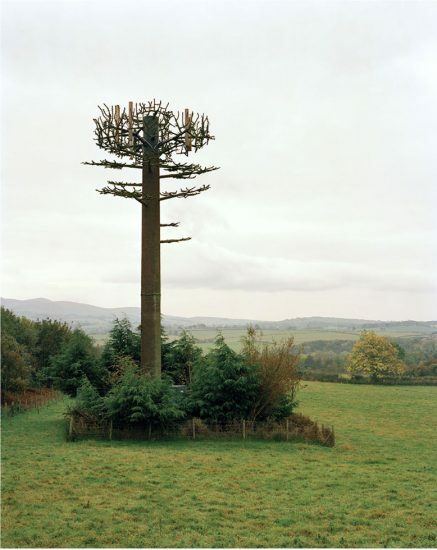 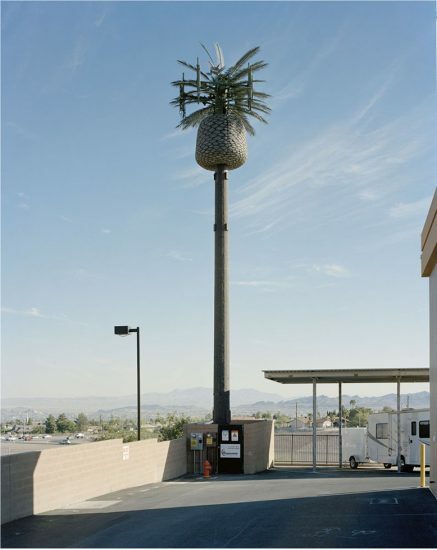 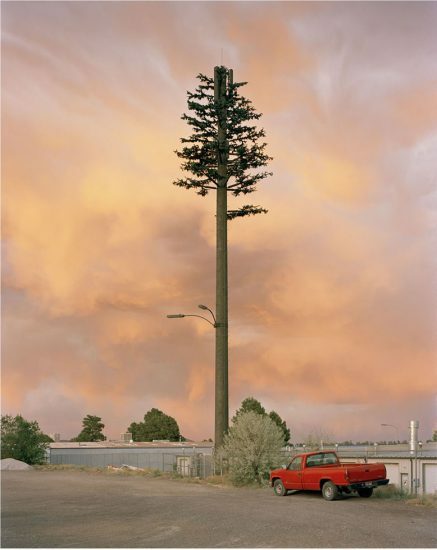 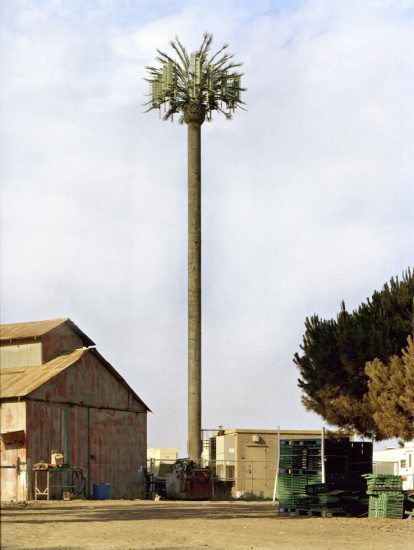 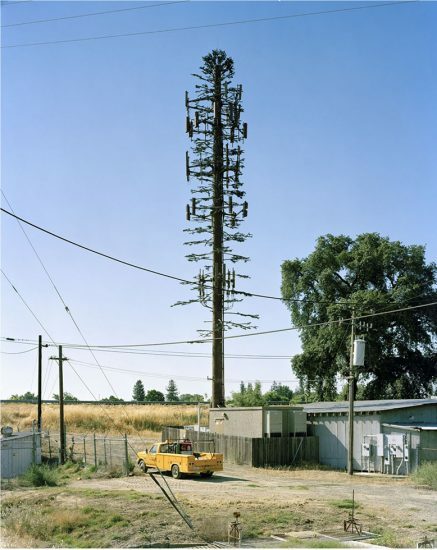 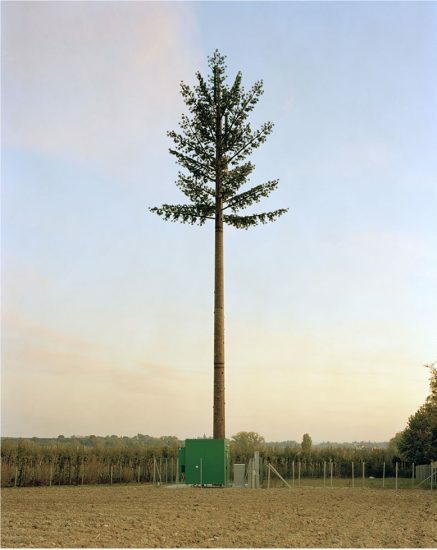 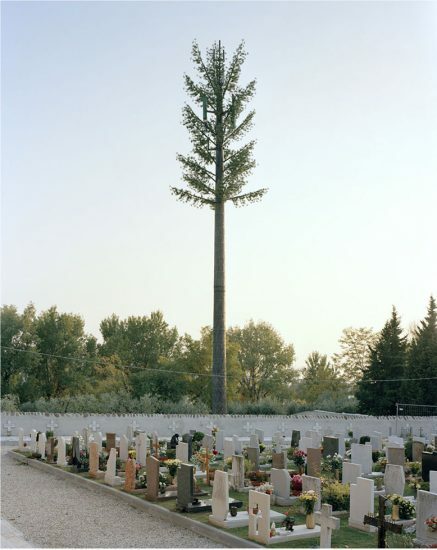 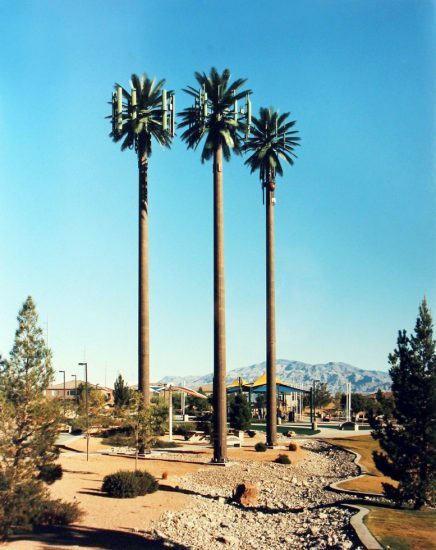 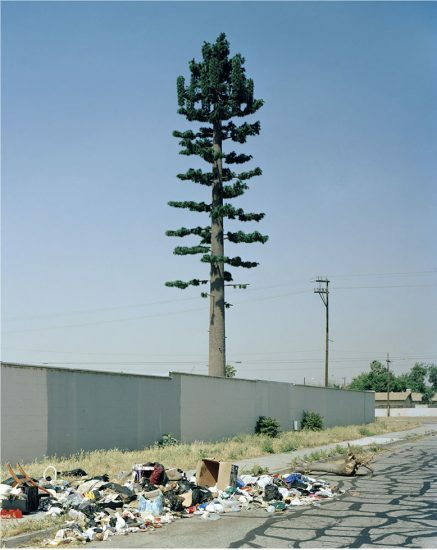 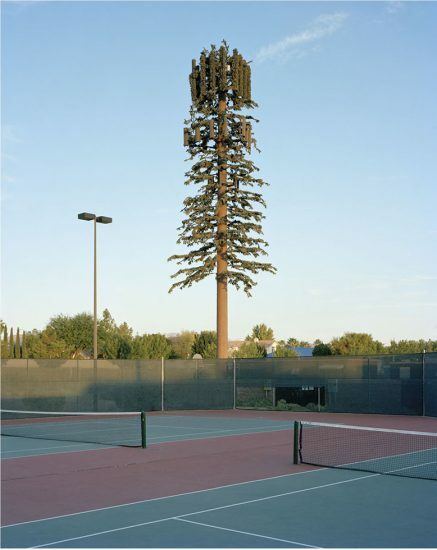 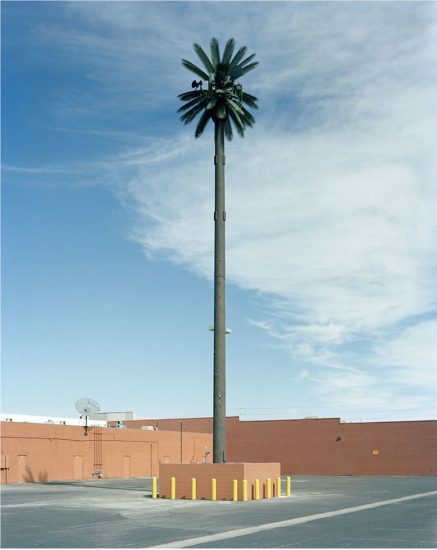 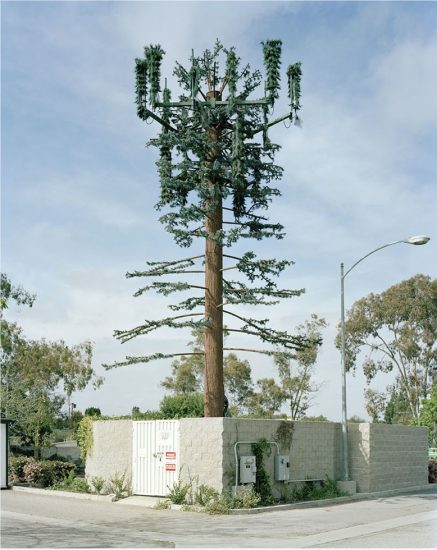 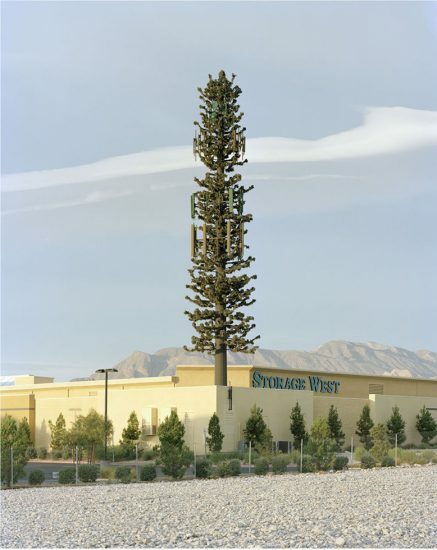 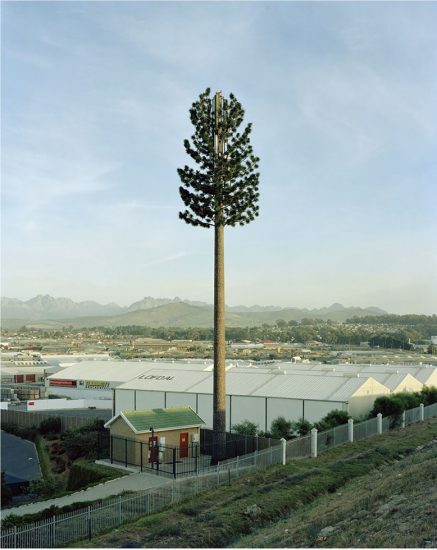 On closer inspection, however, it becomes apparent that these are not trees at all—they are cell phone towers disguised by telecom companies to blend in with urban and rural surroundings. 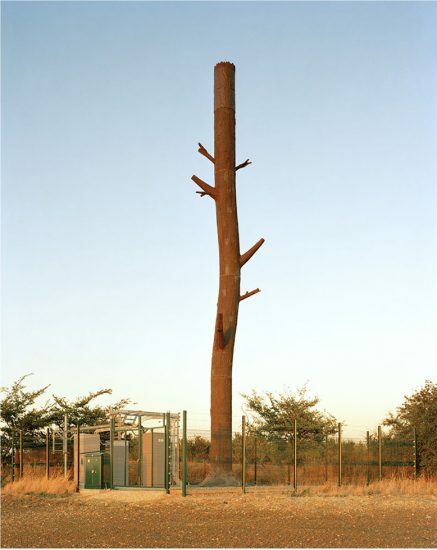 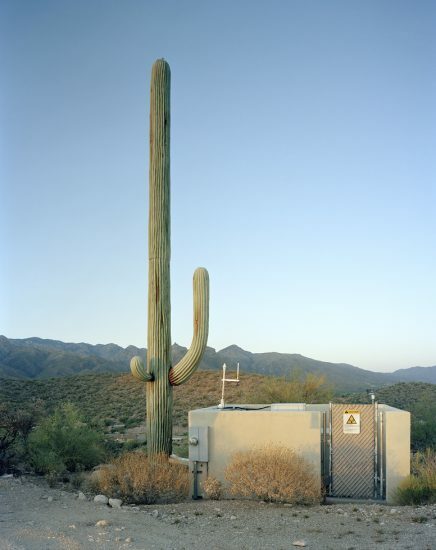 Appropriating the compositional techniques of Bernd and Hilla Becher, while simultaneously moving away from the Bechers’ rigidly “objective” stance, Voit’s images humorously highlight the absurdity of the awkward camouflage. 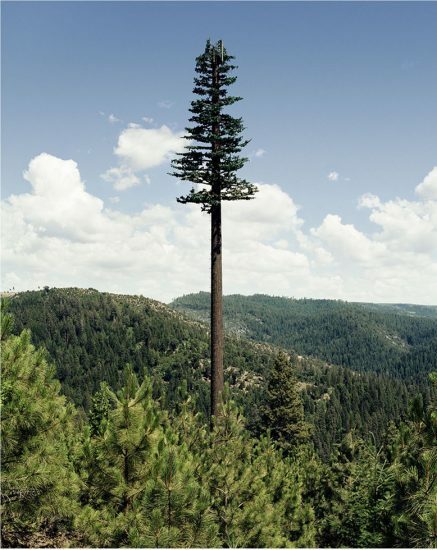 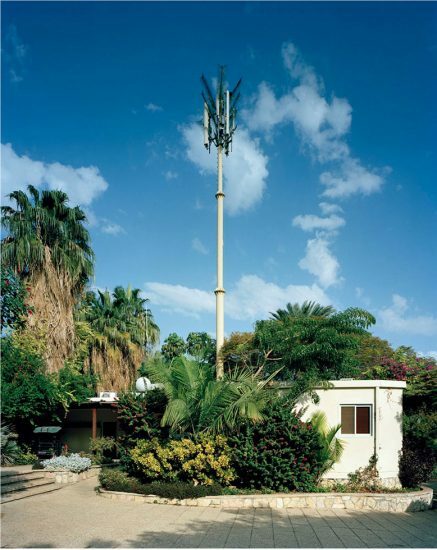 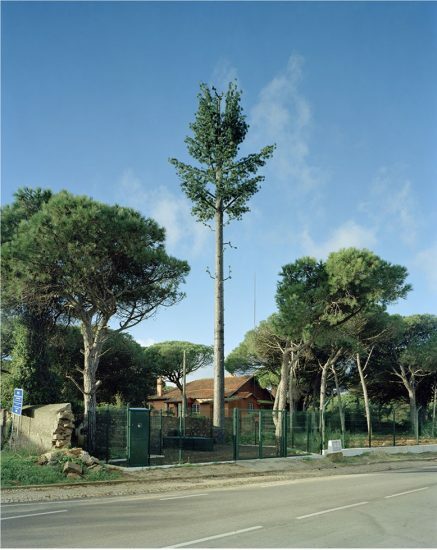 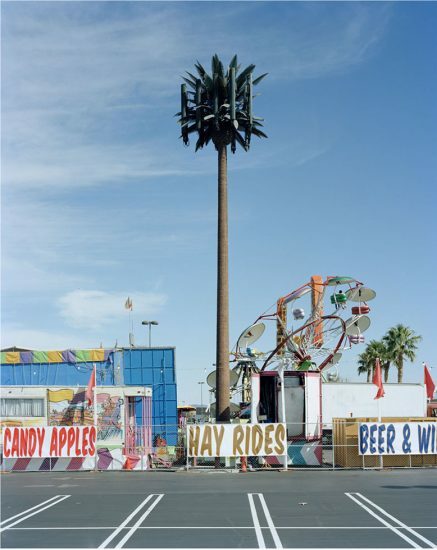 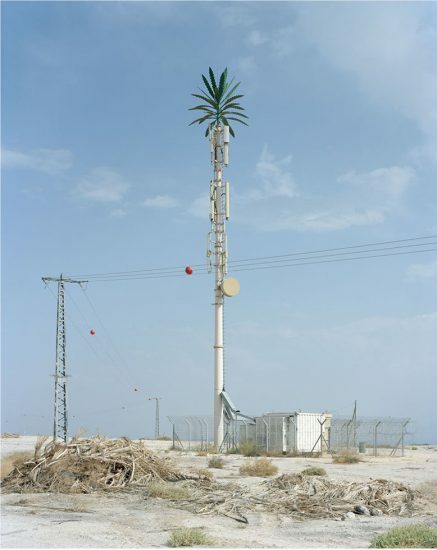 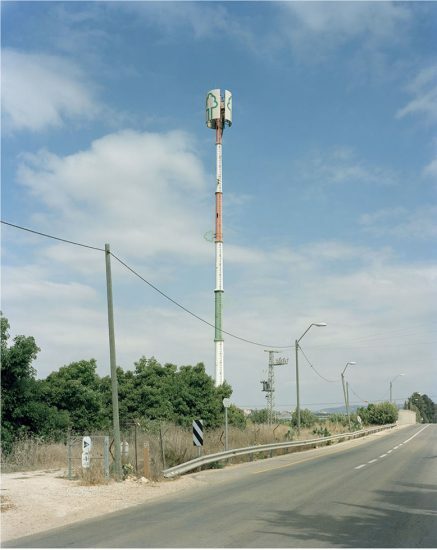 Voit calls attention to the ubiquity of communication and surveillance technology in the present moment, while also subtly hinting to the shifting role of the natural world in the digital age. 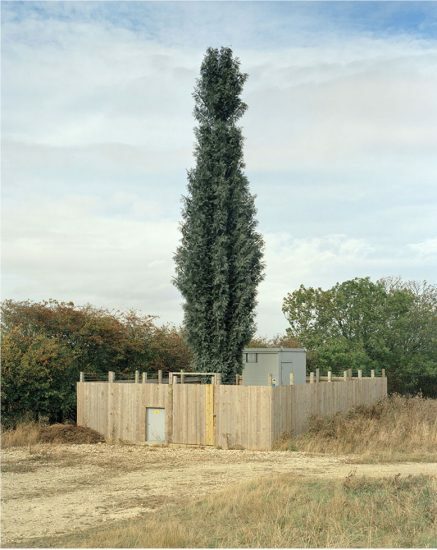 Voit’s “New Trees” are neither entirely natural nor entirely social—they exist in a liminal space between the real and the artificial.